I first made one as a prop many years ago when I was an editor at Martha Stewart Kids for a craft story about buttons. This idea was, for the absolute easiest ornament, string up buttons in all sizes to decorate a tiny tree! Start by making the base. Alternate blue and yellow rods in the spool. Place a green rod in the middle. On the next level, alternate red and green rods around the spool. Top with the red rod. The next tier, use only blue rods. On the last tier, use only yellow rods. Top the yellow rod in the middle of the spool with the coupling piece. 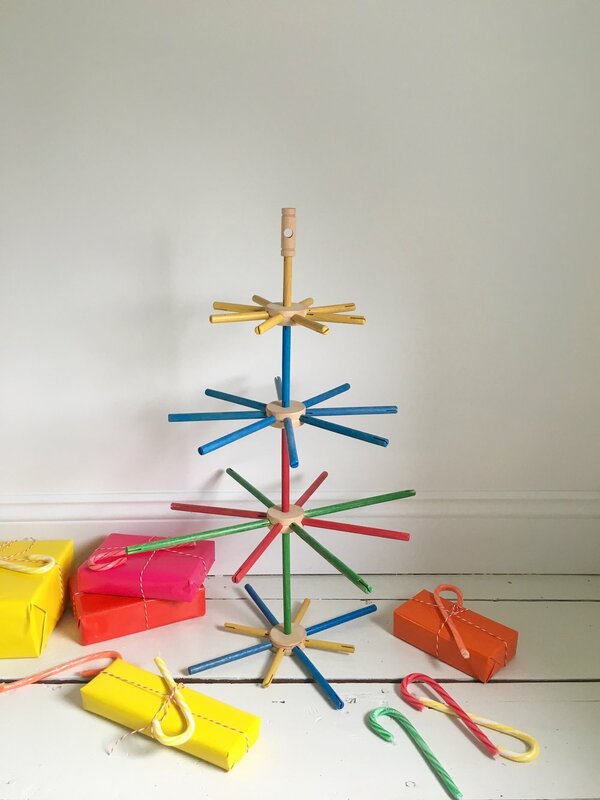 I hope you and your kids will try making this fun tree. Happy building! Jodi Levine is a participant in the Amazon Services LLC Associates Program, an affiliate advertising program designed to provide a means for sites to earn advertising fees by advertising and linking to amazon.com.